1. 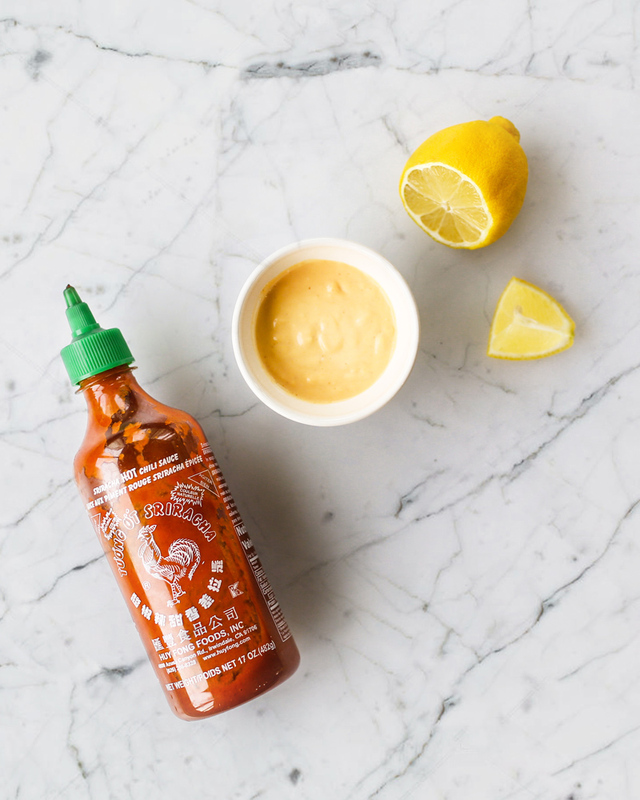 First, prep your sriracha aioli. Mix the mayonnaise, and sriracha together using a fork to avoid any lumps, once they've been properly combined add in the freshly squeezed lemon juice. Mix all the ingredients together and set the mixture to the side. 2. Heat a large pan with 1 tsp - 1 tbsp of avocado or olive oil. Once your pan is hot place your veggie burger patties face down on the pan and allow them to cook for approximately 4-5 minutes/side on medium high heat. Season each side lightly with salt and pepper. 3. While the burger patties cook, rinse the butter lettuce. Place three lettuce leaves on top of one another on each plate. Use three leaves for each burger. Then slice your cheese, 1 thin slice per burger patty will suffice. 4. Once the burger has cooked for 4-5 minutes/side, flip the patty over once more and place the cheese on top. Cover the pan and allow the cheese to melt. This should take about 2-3 minutes. 5. While the cheese melts, slice your tomato and onion if you're using onion. 6. Once the cheese has melted place the burger on top of the butter lettuce, then the tomato, then the onion (if you're using one) then sprinkle the sriracha aioli on top.